Electoral Profits is a new binary options product by Daniel Walters promising to make traders over $120,000 because of the presidential election. The jist is, Daniel has found a way to take advantage of the markets around this election to earn traders life-changing money. Today I’ll be reviewing this software and letting you know if there is a shift in the market you can truly take advantage of. 3 Who Is Daniel Walters? It’s very difficult to believe the Electoral Profits App sales pitch for a multitude of reasons. Firstly, the promises are outrageous. We are being guaranteed hundreds of thousands of dollars and daily returns of over 500%. This is not realistic, I don’t care what strategy you are using or what market you are in, numbers like these can’t be trusted. Not only that, Daniel also promises to flat-out give traders $10,000 just for trying his system. This is not a sustainable business model and I can guarantee that he won’t be writing one check to any of his clients. In doing some quick background checks on google about the Electoral Profits creator, we come up empty. 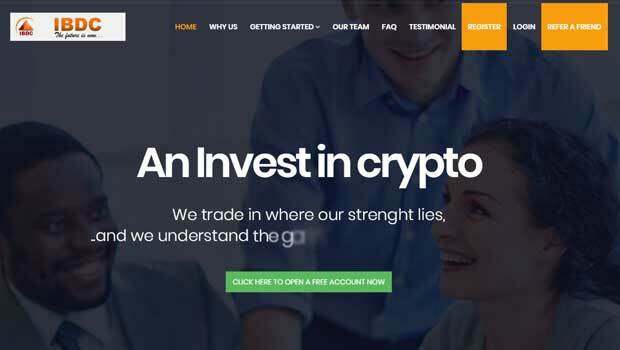 There isn’t one article positive or negative about Daniel Walters and his role in the binary options market. It’s very clear to me that Daniel is not a binary options trader and that he has no reputation whatsoever. So why would anyone trust Daniel to come up with a binary options trading software when he isn’t even a trader? They wouldn’t. The same way I wouldn’t get my teeth looked at by someone who didn’t go to dental school. Daniel provides us with testimonials and a live trading table in the members area to back up his Electoral Profits software. The testimonials are fake. You can find the exact stock images online available for purchase on multiple websites. As for the results, it’s hard to believe that they are real as well. There is one tested we can do, and it’s attest that I do frequently when dealing with binary options software. When the market closes in a few hours come back to the members area and take a look to see if trades are still open. As I’m looking at the results now there I see pages and pages of winning trades but hte one trade that’s open is losing by 60 points. Pretty odd that this system wins 99% of it’s trades but the one I see is a loss. I see no reason why we should signup with the Electoral Profits App. The developer has absolutely no reputation in the market, this testimonials are fake and the results are likely falsified to. There are way too many issues and discrepancies at first glance. I just put out my most recent income report yesterday so I suggest that you check that out. In this edition I provide a full strategy update for you to follow along with and use in your own personal trading.